Three hours from Arusha lies one of the iconic natural wonders of the world that leaves travellers speechless! “It is impossible to give a fair description of the size and beauty of the Crater for there is nothing with which one can compare with it. It is one of the wonders of the world.” Bernhard and Michael Grzimek. This month’s property of the month is perched on the rim of the Ngorongoro Crater – once an enormous volcano which has become an ecosystem in itself and home to an unbelievable collection of game. The exquisite salt lake, fever tree forests, leafy woodlands, lush swamps and golden savannahs within the crater combine to make it feel like a more modern, African version of the Garden of Eden. The lodge boasts some of the best 360-degree views of the wildlife haven; offers a magical, romantic setting along with an abundance of enchanting delights and delicacies. Fit for royalty, the ornate architecture, dramatic interiors and the most opulent finishes, transport you into a world like none you’ve ever been to or even dreamt of before. Separated into three camps, North, South and Tree Camp each one has its own secluded wonderland and character. Colonial, meets European, meets Maasai, meets Baroque, there is not one distinct influence at the Ngorongoro Crater Lodge but a little bit of everything. This is what makes it so foreign, romantic and magical, the perfect escape from everyday life. After a lovely game drive down in the crater, some beading with the Maasai ladies or some archery for the kids, a decadent evening drink awaits you on the deck or in the cosy sitting room. 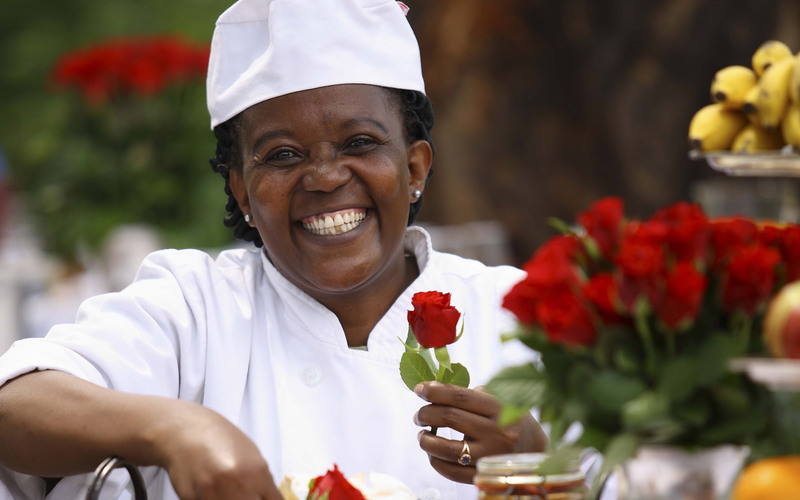 The food is very definitely fit for kings, the plates gold, the service silver and the flavours vibrant and colourful. Whether you choose the brandied chicken liver parfait, the grilled beef fillet with potato rosti, the homemade panna cotta, or all three and more you will no doubt be wholeheartedly thrilled. 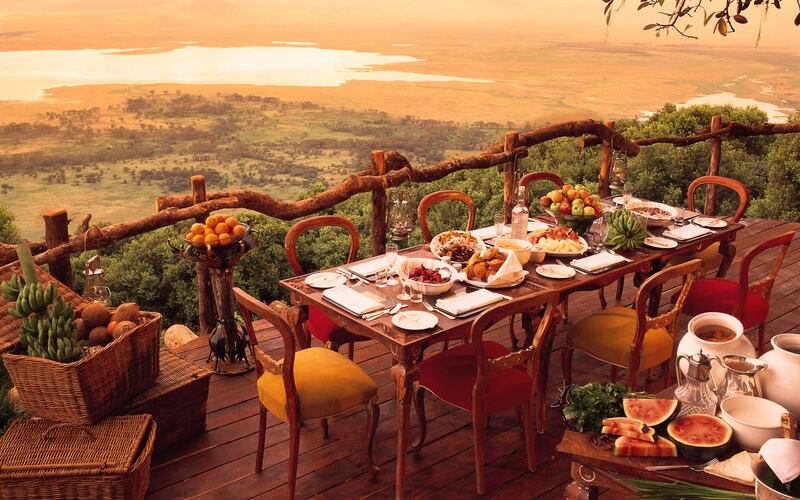 As one of andbeyond’s flagship properties the team at Ngorongoro Crater Lodge have heaps of experience and certainly know how to you win you over. For more on this magical destination click here.